Haikyuu!! is the hugely popular anime series that is spiking its way into the hearts of fans in the US. In response to great demand, Banpresto has created five different figures of the members of the Karasuno High School Volleyball Club across two waves! In the first wave, collect Daichi Sawamura and Asahi Azumane figures. 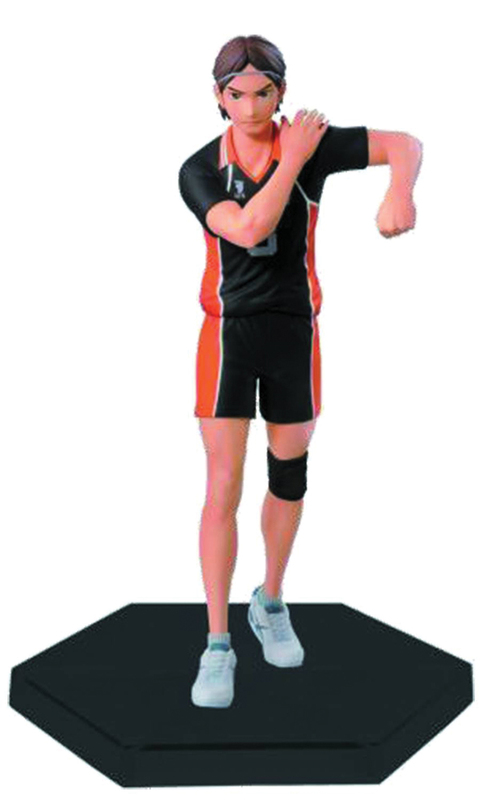 In the second wave, fans will find figures of Koshi Sugawara, Yu Nishinoya, and Ryunnosuke Tanaka. Each figure stands roughly 6 1/2" tall. Collect them all and build your own volleyball team when you stand them side-by-side!